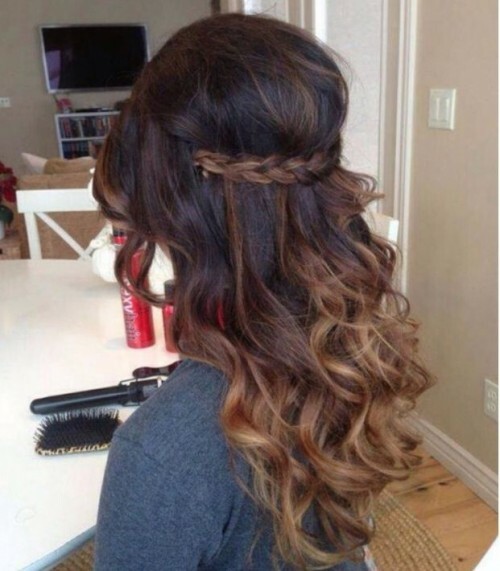 Ombre hair has received a lot of recognition over the years. The style is chic, innovative and incredibly appealing. When blended correctly, the ombre trend works with all hair types and colors. Women with brown hair in particular have a wealth of super funky combos to try out. Here are 30 amazing ombre ideas to help you get inspired. 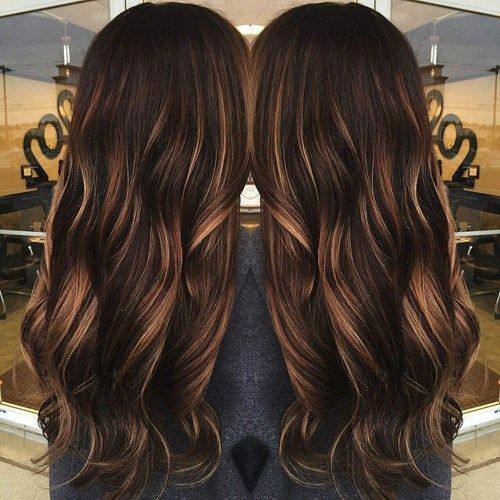 Thick, dark brown hair with beautiful layers will look amazing dyed in a warm caramel brown ombre shade. For some extra volume, opt for a side parting and comb almost all your hair on one side. The color differences will be barely noticeable, which is exactly why you’ll love the blend. Soft and delicate, this bronze vixen ombre will make you feel like the most confident woman out there. 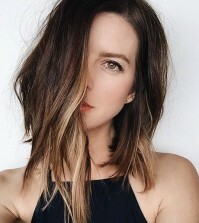 If you want to make a bold statement in front of your friends you should definitely go for this amazing contrasting ombre for medium brown hair. The combo is meant for both straight and curly hair, and it involves dying the tips of your hair in blonde. Now that’s pretty crazy right? Believe it or not the combination will work wonderfully, especially if you have pale skin tone. This is an ombre style every woman will adore. It comes with a straight, fierce fringe and beautiful layers. Ideal for women with longer brown hair, the style will brighten the face and will add a lot of drama to your hairdo. Go for mild curls, and as for the ombre nuance, warm blonde will blend beautifully with your natural color. 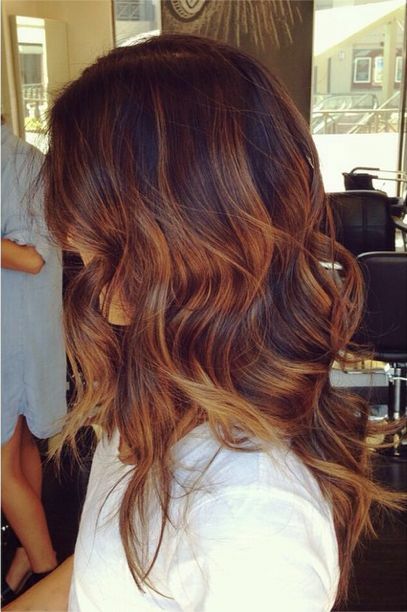 Soft caramel ombre is a shade that goes really well in the summer season. Although you can wear it anytime if you really like it; if you have brown hair but you’ve gotten tired of the same color, this beachy hairstyle will help you regain that lost confidence. The soft transition from brown to caramel ombre mixed with really loose curls is everything you need to feel refreshed. Soft bouncy curls dyed in honey ombre will make you feel like the most beautiful woman on the planet. Keep the darker brown color for the top half of your hair and own the hairstyle. Make sure the transition from the darker nuance to the lighter nuance is smooth. This is key if you want to get the most perfect ombre effect. Do you have short brown hair and you don’t know how to style it? Well, how about an ombre-inspired look? It will add a lot of texture to your current style, not to mention that your face will be framed a lot better. Golden tones mixed with dark brown is a killer combination! This hairstyle idea is excellent for women with light brown hair. In the front, go for even lighter hues to bring out your natural face features, such as the cheekbones and the eyes. 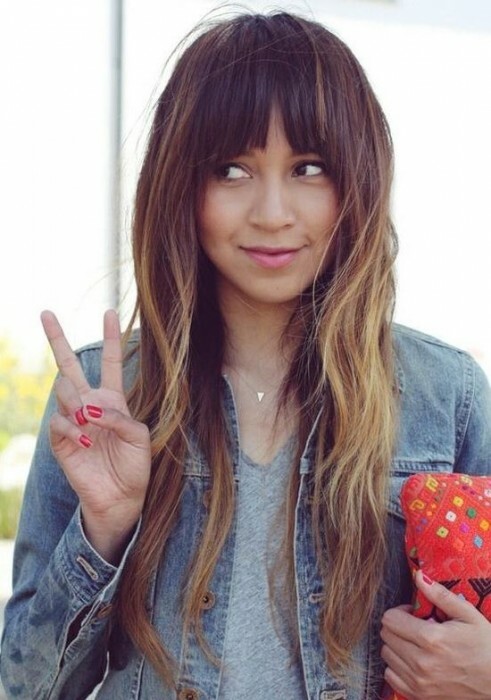 Make sure the hair is properly cut too; asymmetrical layers are the best, as well as a side-parted fringe. Ombre hairstyles come in a wealth of choices. If you have brown hair but you don’t want to go too crazy, you can opt for caramel highlights. The glowing effect of the caramel color will blend beautifully with your natural brown. Together, they’ll make your locks appear thicker and more structured than ever. Mahogany ombre is a great addition to your brown hair. Whether it’s long or short, the combination will add dimension to your locks. Let you hair down and curl it at the ends; the movement of the curls will accentuate the mahogany-brown blend even more. 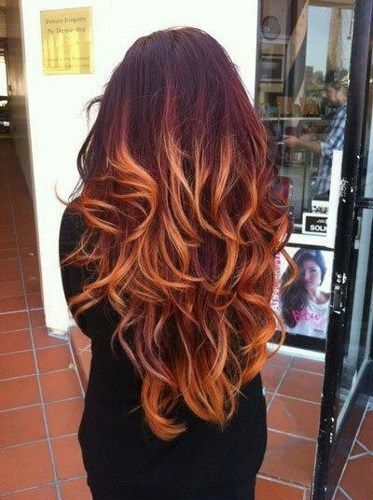 If you’re feeling playful and you’d like a change in hairstyle, then you should consider this amazing ombre style. 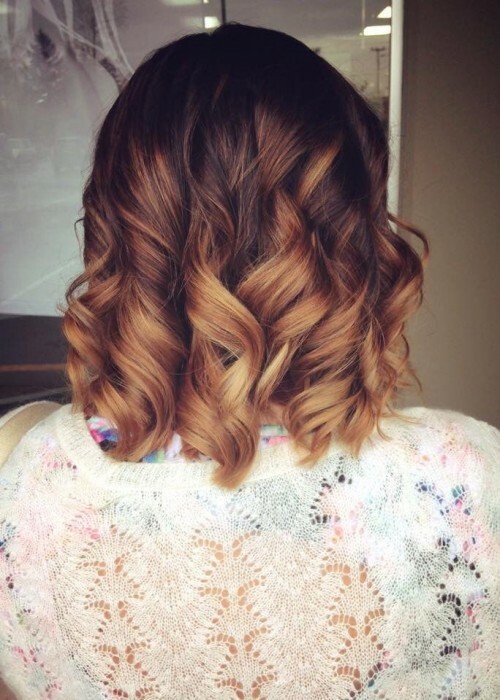 Keep the brown and have your curls dyed in light caramel. Make sure the transition is smooth; it will add even more ingenuity to the hairdo. Prepare yourself to make an impression! This colorful, fun look will definitely turn some heads around. Fiery copper will bring more light into the face, and the dark brown will make sure to preserve balance. A killer combo for a modern hairstyle! 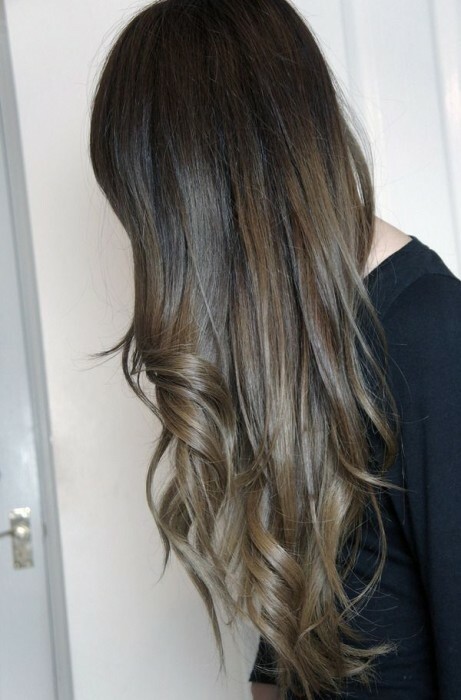 Ombre hair is fascinating! It can be used only for your split ends, or to highlight your curls even more. To bring more emphasis on your bouncy brown curls, go for light caramel highlights. Keep it sleek and simple and the effect will be sophisticated, light and airy. Do you feel creative today? Well then maybe you should try out the multicolor brown ombre style. Blended properly, the hairstyle will look amazing on you. Basically, there will be more than two color mixed. A very good combo is brown, copper and mahogany. But don’t worry as the end result will seem perfectly mixed and really chic too. The ombre style works really well on women with shorter hair too. 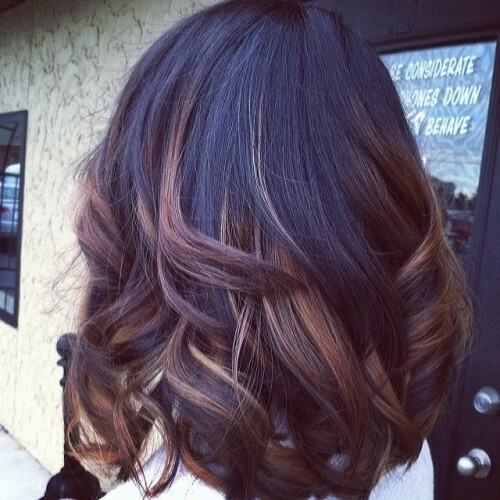 A wavy brown bob for example may appear dull and boring. 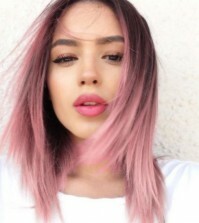 However, if we were to dye the hair at the tips in a lighter shade – such as dark blonde for example, the final hairdo won’t seem that boring anymore. On the contrary, it will look striking. Feeling daring this autumn season? Check out this impressive medium length bob with a side parting and funky ombre hints. Keep the brown and only consider discreet light highlights close to the face. Your whole complexion will appear more illuminated and modern. Own your curls and make them pop up with a fierce ombre color. 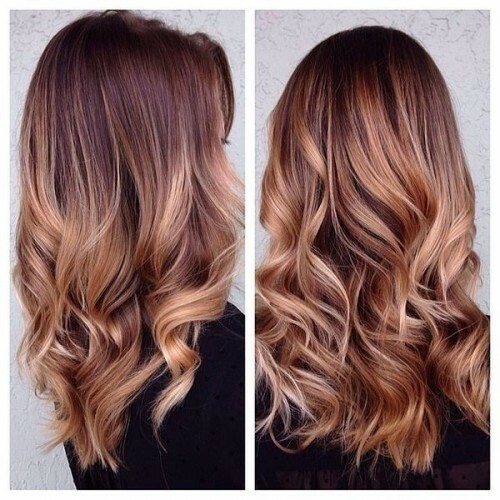 The coolest shades for brown hair are caramel and warm blonde. These two colors will beautifully match with the rest of your hair provided that the transition is done smoothly. Fresh layered hair can look so sleek and chic. Keep it straight and consider a side parting for an added wow effect. As for the color, your natural dark brown will go really well with a couple of soft blonde highlights on the sides. Deep brown is a stunning hair color. 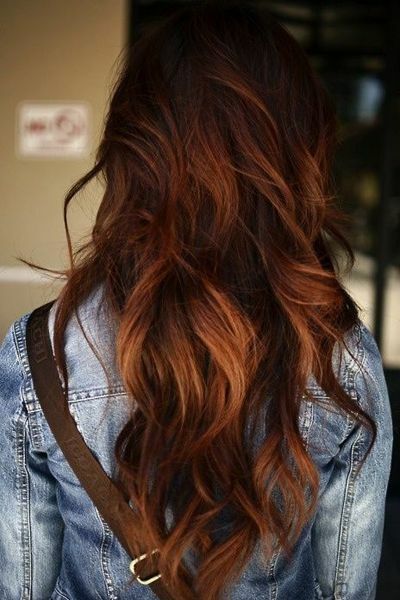 However, when mixed with hues of copper and mahogany, the final hairstyle will appear even more incredible. Perfect for women with medium complexions and prominent facial features, this ombre fades close to the cheek area, thus accentuating the eyes and cheekbones. 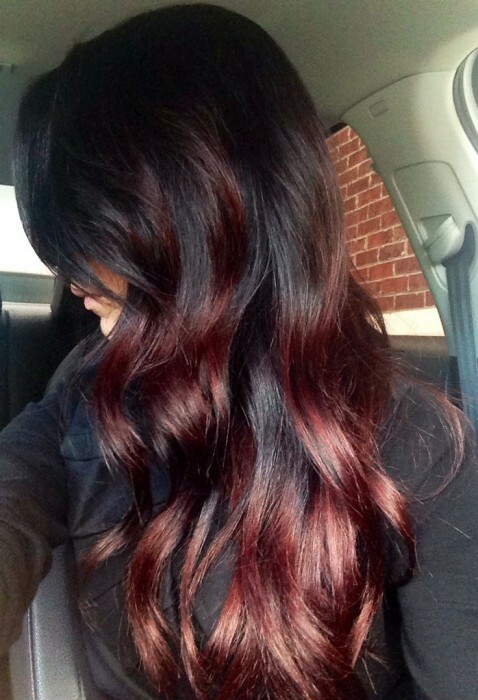 Layered chocolate strands are exactly what your brown hair needs to appear brighter and more vivid than ever. The hairstyle is deliciously delicate and stylish. Make sure the ombre effect is created gradually – from darker roots to the ends – and enjoy your wispy layers. 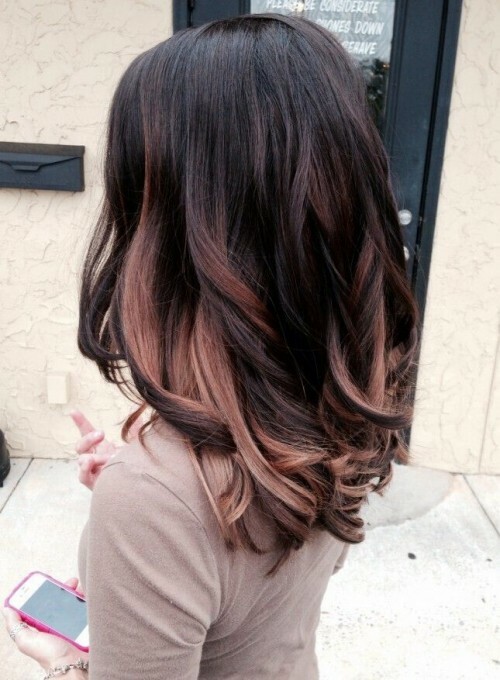 Sometimes a simple, stylish ombre fade is everything your brown bob needs to appear chicer and more interesting. Choose flecks of russet close to the tips and the whole hairstyle will have a contemporary appeal that everyone will adore. 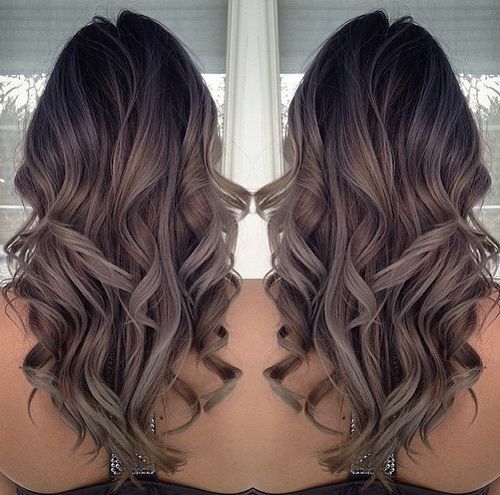 Dark coffee ombre is a superb hair color. It is ideal for women with long, wavy brown hair. As for the actual style, feel free to play with the texture. A side parting, middle parting, even a fringe is recommended to give the hairdo an extra edge. Chestnut is a form of lighter brown. When combined with blonde ombre the end result will be a super textured hairdo that shines. As for the cut, if you have medium-length hair you should definitely get layers. This way the ombre effect will have a more striking allure. Long hair is ideal for this style. 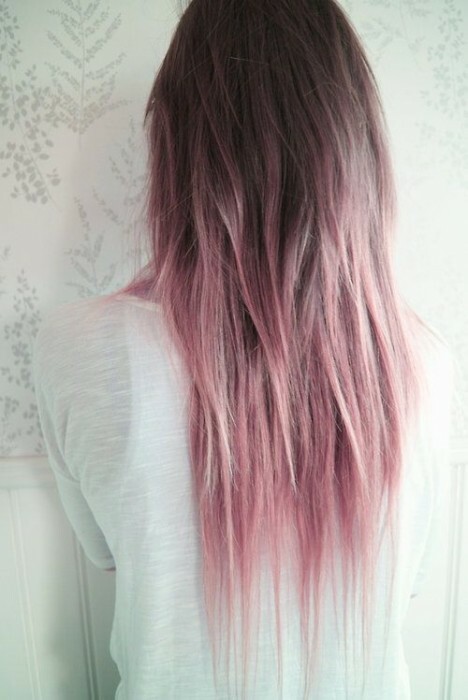 Before braiding your hair, dye it in a light ombre shade at the bottom half. Caramel hues are excellent; now you can braid it in a beautiful fishtail. The effect will be instantly noticed by your dear friends. This cool dark brown with horizontal braiding looks fascinating. It’s fun and playful, but also really catchy. 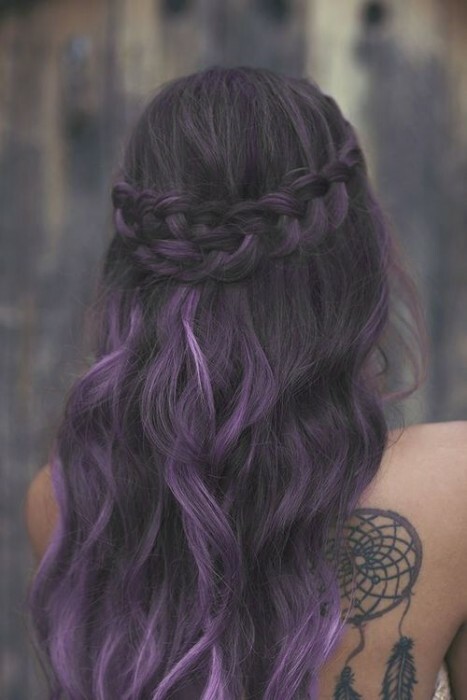 And that’s because of the purple ends; which by the way, are to die for. We love natural brown hair, especially when it’s well taken care of. For some added texture however, try out adding some highlights. The ombre effect created will surely make your beautiful face pop out. 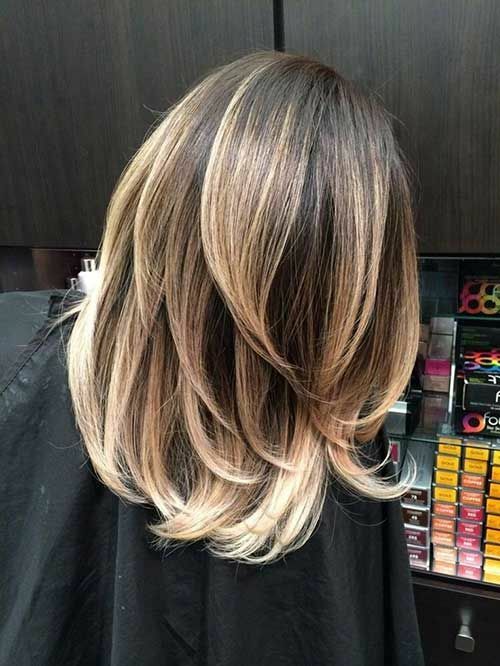 Balayage highlights are the latest trend in ombre hair. Perfect for women with layered locks, the style is not just cool and chic, but also perfectly structured and balanced. 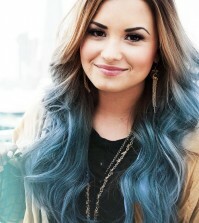 Now this is what we call a delicious hair color! 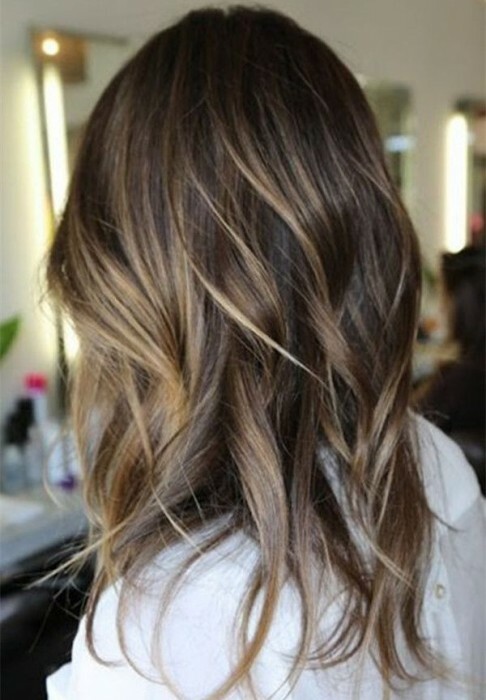 Darker at the base and lighter at the bottom, this fabulous ombre hair idea will definitely make you noticed. Even though it’s perfect for longer hair, women with short hair can try it too. 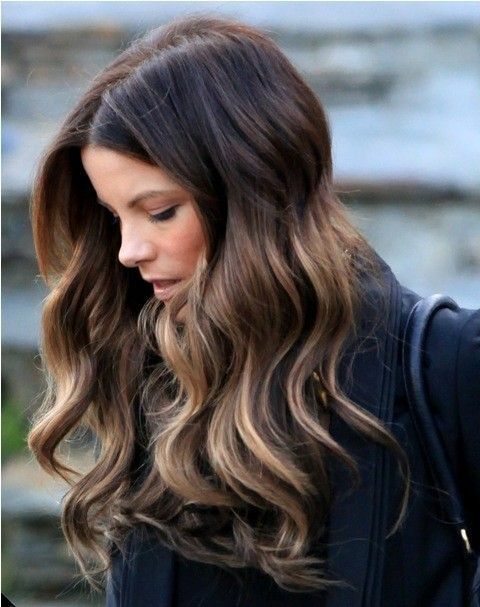 If you love your brown hair but you feel like you need a slight change, opt for light ombre shades. The difference doesn’t have to be striking for the effect to be noticeable. This bold hairdo is ideal for women who want to make a statement. Chic and incredibly appealing, the style has a rock allure we truly love. 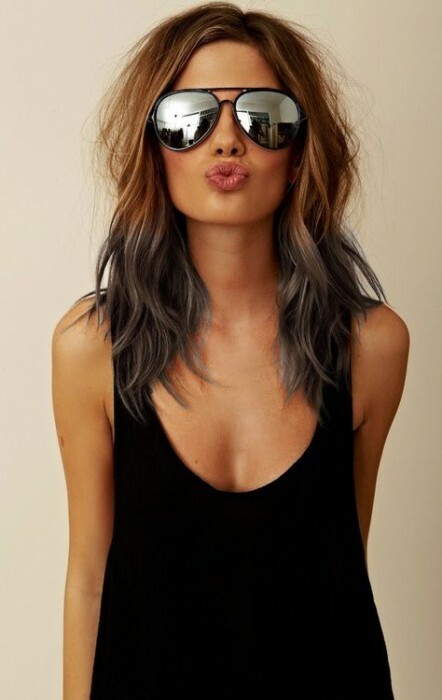 Perfectly layered, the ash at the bottom creates a reverse ombre effect that really pops. This beautiful combination of ash brown and light purple is absolutely fascinating. The ombre effect looks striking, but it’s not disturbing in any way. It’s actually pretty amazing, and you’ll love the result. Everyone will admire your innovative sense of style. 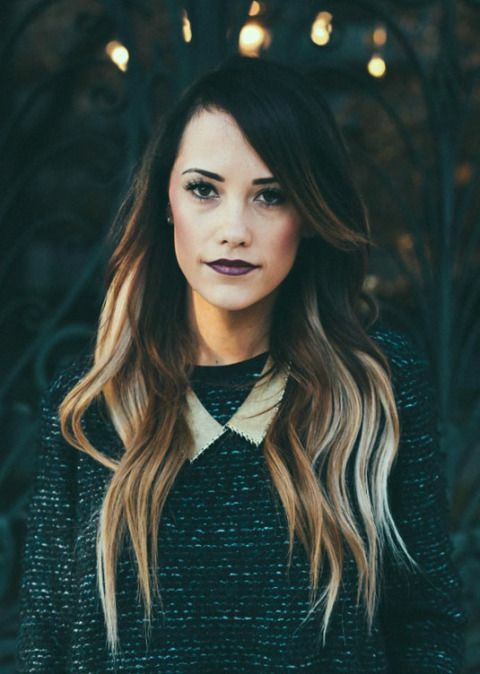 There you have it ladies, 30 amazing ombre hair ideas for women with brown hair. Which of these would you like to try out first?